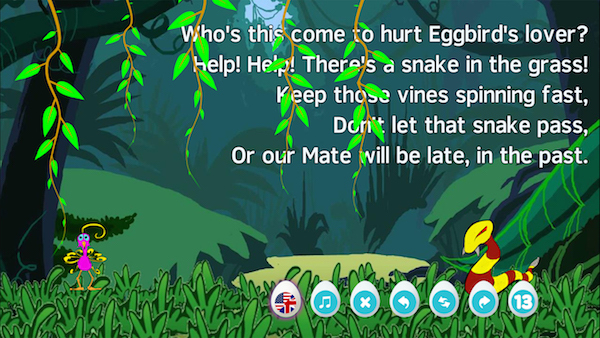 Welcome to EGGBIRD, the brand new Video Game from Mel Croucher and Colin Jones, with Christopher Lee as the voice of Thanatos The Snake. Click on the play button in the middle of the image below to watch the video trailer. 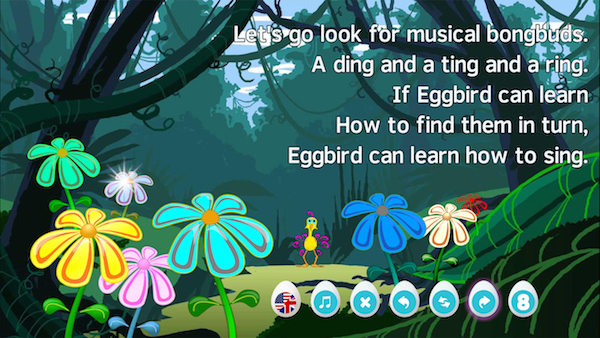 EGGBIRD is a videogame, a movie and a storybook for young children and for us - their guardians. You can read EGGBIRD aloud to your infants in your own language. 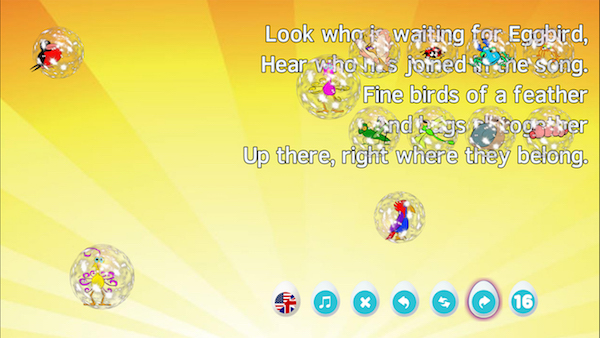 EGGBIRD can be played as a videogame by the young and the young-at-heart. And EGGBIRD can be watched as a movie by viewers of any age. 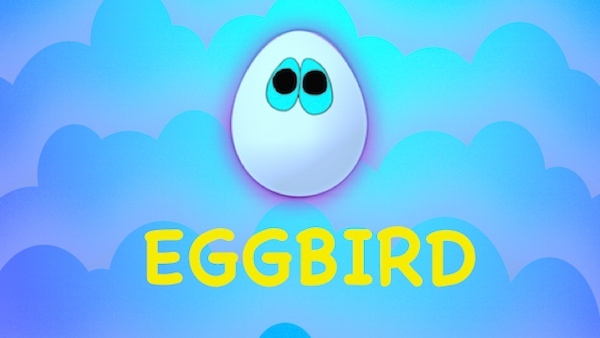 As you would expect from these award-winning video game pioneers, EGGBIRD appeals to children and adults alike. If you have kids in your family, if you know any kids, or if you were once a kid yourself, then EGGBIRD is for you. 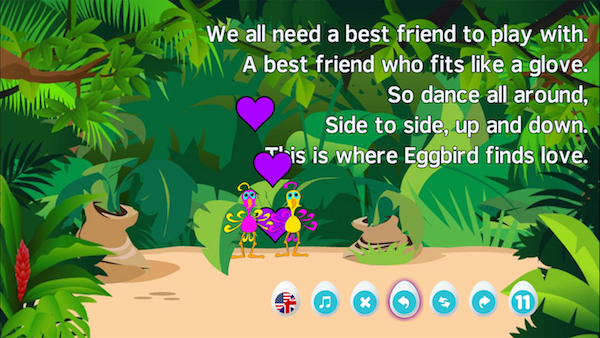 EGGBIRD teaches peace, love, dance, reading, music, gender-equality, healthy eating, being extremely silly and the creative use of bird poo. The game takes you on the journey through EGGBIRD's whole life, from the moment you help EGGBIRD hatch from the egg, through learning what's good to eat (and what's not! ), how to fly and sing and make friends, as well as finding that special friend with whom to build and protect a nest. And as you would expect, there are some troubles along the way, before love conquers all. You can watch EGGBIRD just like a movie. 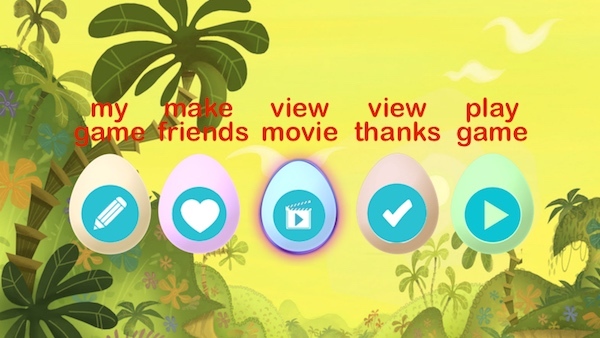 Click on the VIEW MOVIE egg, and enjoy the feature-length cartoon entertainment of the whole gameplay from beginning to end with the full soundtrack. All the characters play their parts automatically, and you'll see how everything in the forest gets used in the gameplay. So there's no need for explanations or rules of play. Even the youngest can watch and learn, as many times as they like. 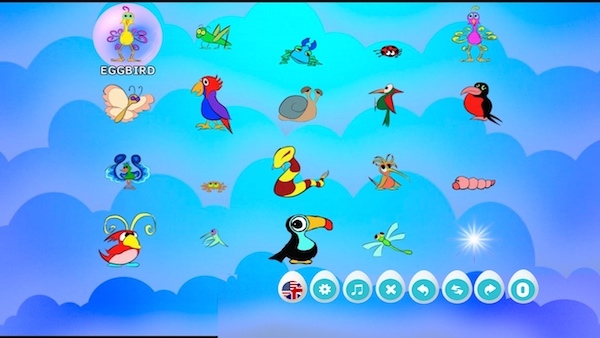 Outside of the main game, your youngest players can make friends with all the characters from EGGBIRD THE MOVIE in this special MAKE FRIENDS section of the package. When they touch a character it will animate, fly in a bubble, reveal its name and make a very funny noise. Your little ones can spot themself "starring" among their new friends, and activate several characters together to create their own mini-bedlam. Don't worry, there's a volume control if you really need it! And better still, you can customize EGGBIRD in seconds with any name and any date, to welcome your special child to the game in person and discover that EGGBIRD will hatch on their own birthday! 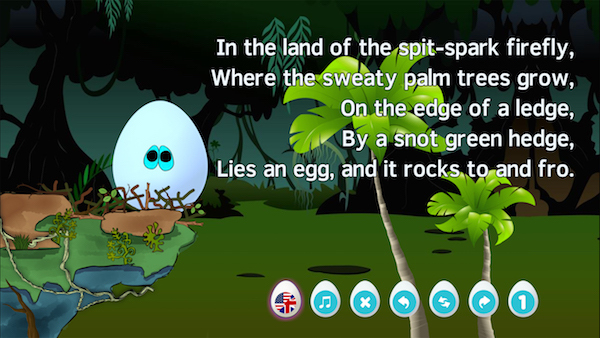 EGGBIRD is also a rhyming storybook, with very clear text in child-friendly fonts. The storybook pages can be turned and repeated at your own speed, read aloud to the very young, or read together to help the learning process. Youngsters and grown-ups will enjoy the double layers of Mel's verse. But EGGBIRD isn't only for English-speaking kids. 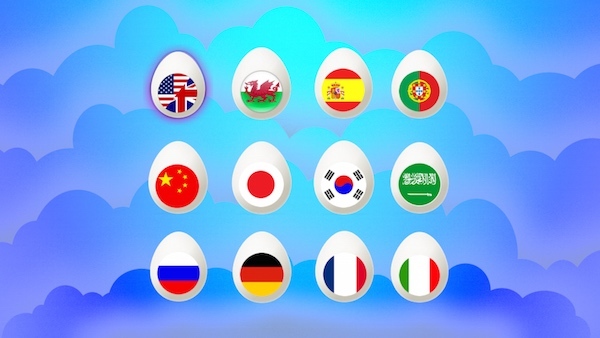 We've translated EGGBIRD into Welsh, Russian, Italian, French, Spanish, Portuguese, Japanese, Mandarin, Korean and Arabic.